Some of your children’s fondest childhood memories were probably made during the past week, during this magical, spooky and candy-filled time of year. Trick-or-treating on Halloween night is one of the best adventures children can have! But what to do with all that sugary, chocolatey, sweet candy? If your children (or you!) can’t stop munching… freeze it. Virtually any type of chocolate candy freezes and keeps just fine. Just put the wrapped candy in a ziplock bag and hide it in the freezer, until you thaw it out at a later date. Or unwrap a few candy bars of the same type, chop them and freeze in small portions. You can easily use the chopped chocolate as a topping on dishes of ice cream or as an ingredient in milkshakes. Snickers bars and Whoppers work especially well for this! 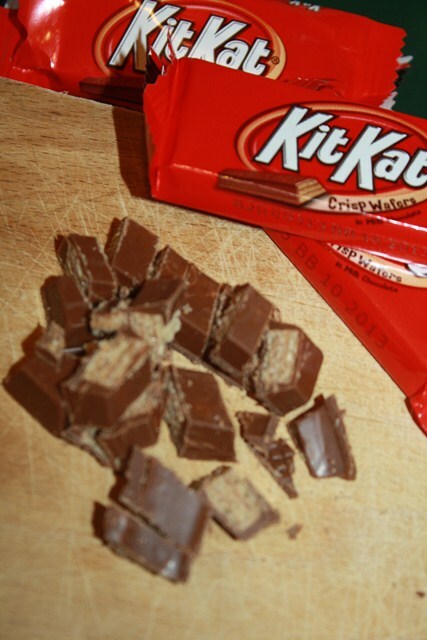 Kit Kats chop up nicely! Make peanut butter cookies and add some of your fun-sized chocolate candies to the tops of the cookies when they come out of the oven. Hershey’s Kisses, small Reese’s Peanut Butter Cups and other small chocolate candies work well. Set some of the candy aside for decorating a gingerbread house during the upcoming holiday season. Make goodie-bags for your children to give to their friends, especially those who live in rural areas and might not have had the opportunity to go trick-or-treating. If your children are on sports teams, have them make and give goodie-bags to teammates during the next upcoming practice or game. Everyone is a child at heart—another option is to share goodie-bags with grandparents. Donate candy to Operation Gratitude, a non-profit and volunteer organization dedicated to sending care packages to military personnel. Many dentists serve as collection points; some even offer prizes to children who donate. Or you can contact Operation Gratitude directly. 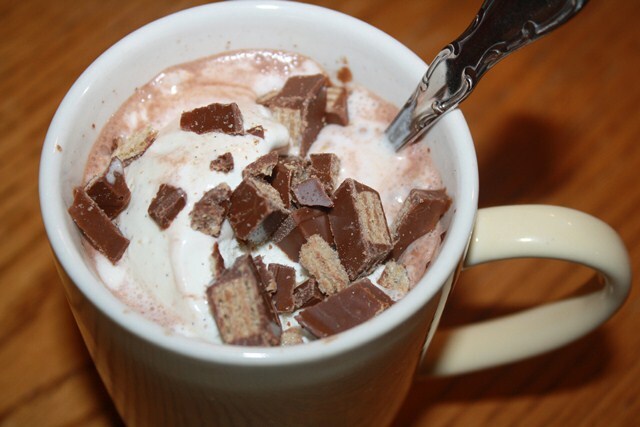 Turn mugs of hot chocolate into delicious dessert: Fill your mug about two-thirds full, add a scoop of vanilla ice cream, and then drizzle with your favorite crushed candy. This is exactly what my family enjoyed on Halloween night… it’s one of our favorite treats! I am glad to hear someone else “freezes” chocolate, I am always letting people know they can freeze candy and baked goods if they have too much, it’s not a food you want to keep goobling on! !